PHOTO: Allen Ramsey, DWCPhoto.com. 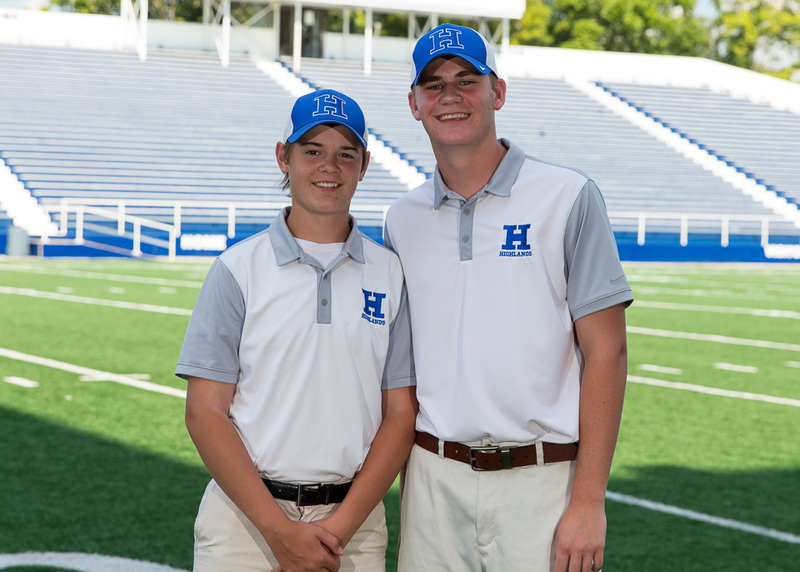 The two Highlands seniors on the golf team are Aaron Verst (left) and Jackson Recht (right). The Highlands Bluebirds golf team finished higher in its second tournament in two days Monday. Twitter Photo. 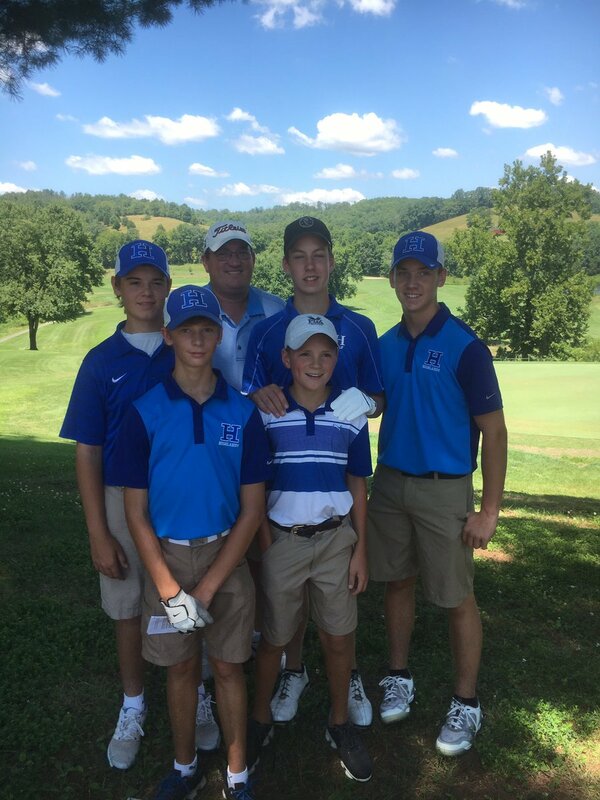 The Bluebirds golf team finished fifth in the Pendleton County Invitational on Sunday to open the season. The Highlands Bluebirds golf team opened the season in the Pendleton County Invitational on Sunday. 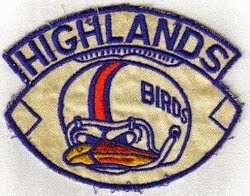 The Bluebirds took fifth out of 12 teams with a score of 327. PHOTO: Allen Ramsey, DWCPhoto.com. 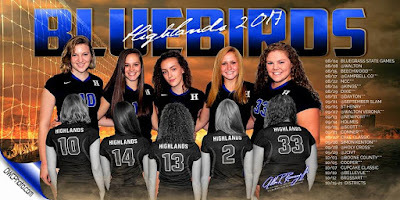 The Highlands volleyball team has five seniors this year. They are Joy Kapesser (10), Maddie McCoy (14), Skyler Phillips (13), Gracie Schweitzer (2) and Mary Claire Redden (33). They've been at .500 at 53-53 overall since Katelyn Sallee became the head coach in 2014. A huge goal Sallee set at the beginning of her tenure was a winning season. After consecutive 17-18 campaigns, the Highlands Ladybirds volleyball team broke through last year with that feat at 19-17 overall. That marked the program's first winning season since 2010. Submitted Photo. Highlands senior Aaron Verst prepares for a shot last season. Verst is one of the seniors helping provide leadership to the Highlands golf team this year. 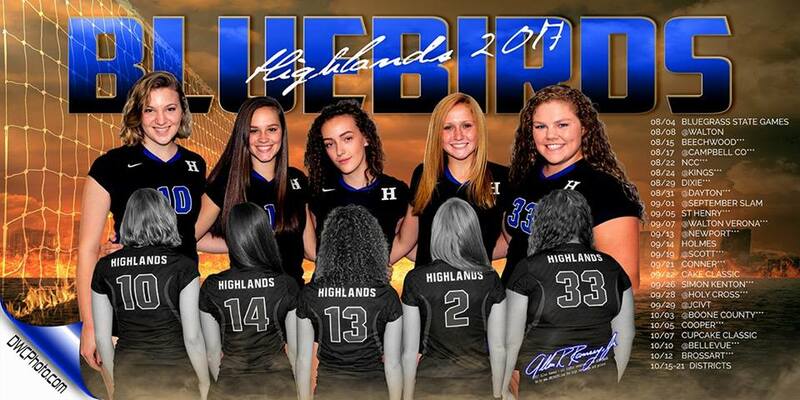 Bert Richey took over as head coach before last season and has begun implementing solid foundations for success for the Highlands Bluebirds golf team. It paid immediate dividends as Highlands performed well in match play going 10-1-1 on the season. The Bluebirds also finished runner-up in a few tournaments and in the top three in a few more.